After a harrowing experience with a personal friend, Certified Exit Planner and Radio Show Host Bill Black pledges to make information and tools available to Small Business Owners to prevent a planning nightmare. 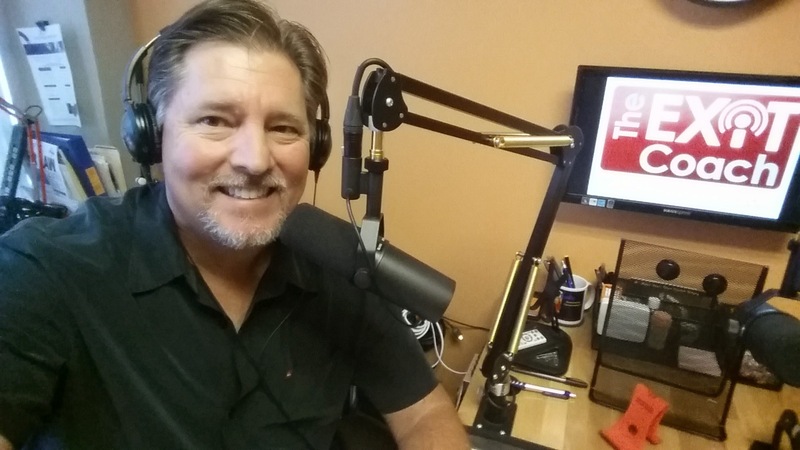 Bill Black is the Founder & Host of ExitCoachRadio.com where he has interviewed over 800 Advisors and Authors for their best tips and ideas for Business Owners. He has recently written a new book called “100 Words From 100 Advisors”. The book is one of several ways that the Exit Planner is approaching his mission to help 1 million business owners to avoid a nightmare that happened to one of his close friends and his family. George was a successful Business Owner. Over the past 25 years his company built an excellent reputation and grew to 60 employees with total revenue of $7m. Suddenly, last year, George died of a heart attack while exercising at age 57. “Like many business owners, George was focused on the future and had done very little Business Continuity planning. As a result, the last year has been a nightmare for George's family, and I set out on a mission to help 1 million business owners so this doesn't happen to them," says Bill Black. "The bottom line is that business owners are so busy that they rarely have time to plan for unforeseen catastrophes. We set out to put all of the tools for a 5 Step Business Continuity plan in one place on our website, so business owners, or their spouses, can quickly get a plan in place to protect families, employees and businesses" says Black. Business owners can purchase "100 Words From 100 Advisors" on Amazon or they can text “ExitCoach” to 44222 for a special 50% off code. Bill Black, “The Exit Coach” also created a 10-minute video available at his website to help business owners avoid the fate of George’s family. 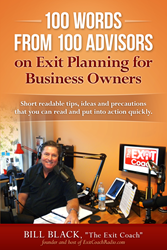 Bill Black is Founder and Host of the Exit Coach Radio Show and a Certified Exit PlannerHe started the Radio Show to help Busness Owners get information to plan and avoid mishaps.